Gerald Wells stole his first radio, a Belmont, in 1943 at the age of thirteen. He was immediately sent to an ‘approved’ school, whose psychiatrist diagnosed ‘an obsession’ with wireless and electricity – an obsession that continues today. The house Wells was born in and still inhabits is now home to over 1,500 wireless objects and 45,000 valves - the UK’s largest such collection. 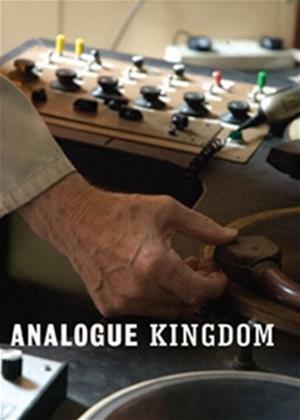 Analogue Kingdom is a poetic portrait of Wells, founder and curator of the British Vintage Wireless and Television Museum. It reveals the charm of Wells’ world, where radio relics and their attendant stories fill every nook and cranny. As the digital switchover fast approaches, Wells analogue collection is a reminder of the magic that may soon be lost. Esther Johnson (MA Royal College of Art) takes a poetic approach to documentary and narrative through film, video, audio and photography. Her work reveals resonant stories of the everyday that would otherwise be hidden or ignored. Recurring themes include personal histories, heritage, tradition, architectural vernacular and precarious futures. Her work has been exhibited internationally including Tate Modern; Tate Britain; BFI; IDFA; LFF; ICA; NASA; Istanbul Biennial and on BBC television and radio. She has written for several arts publications, is an independent film / video curator, and is Reader in Media Arts at Sheffield Hallam University. Johnson was nominated for the 2008 UK Northern Art Prize and won the Philip Leverhulme Prize in 2011 for young scholars.